Nexon themes has been purchased 17, rating: 4/5 based on 4 reviews. 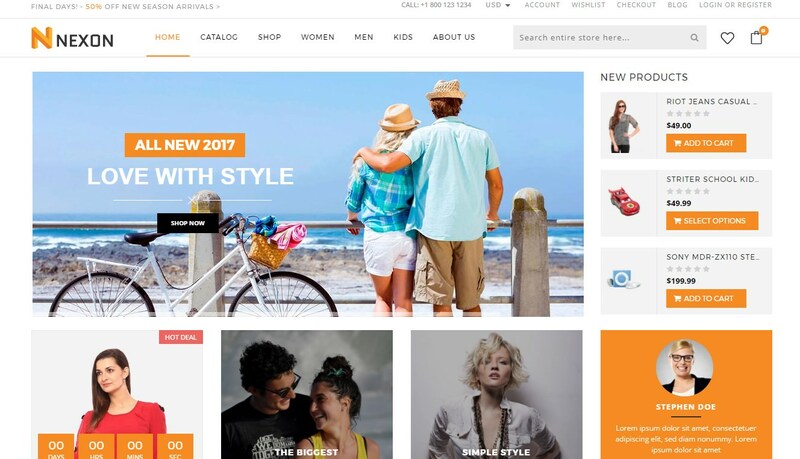 Built on CSS 3 and HTML 5, Nexon Shopify theme is a clean and modern template that is designed for fashion stores. It includes eye-catching images that impress customers at first sight. In addition, Nexon is backed by tons of powerful modules, helping shop owners build Shopify fastest and bring satisfaction to customers. Moreover, it includes a powerful dashboard that makes business more efficient. Don’t miss a wonderful chance, choose Nexon Shopify theme now!